Following up with the last post of The Partridge Family Bootleg, I bring you another bootleg. This time it's a real band playing a live concert. 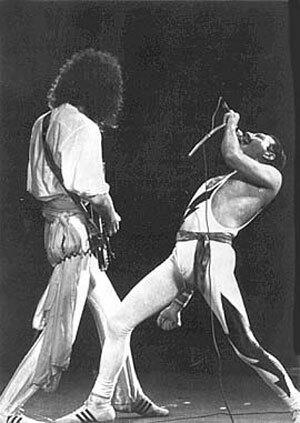 It's Queen rocking like only they could in Rio de Janeiro, Brazil. It was part of a huge rock festival that still goes on to this day called Cidade do Rock. This particular performance comes from January 18, 1985. There never was and has never been a band like Queen and they were truly amazing. Hear for yourself as you listen to "Queen - Rock In Rio". Enjoy! Today I offer a Partridge Family bootleg. What's that you ask, a Partridge Family Bootleg?!?!? Yes. I have no idea where I got this but I've had it for some time. At least ten years. It was a CDR that a friend of mine sent me back in the day when recordable CDs were the new novelty. 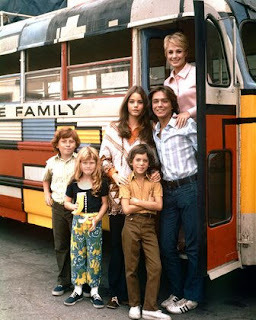 It has no official name so I have always referred to it as "The Partridge Family Bootleg". It is pretty much a collection of songs that were on the TV show but never released. There are no track titles but you can figure out what songs are what by listening to it. For example, I know the first track is a cover of the old Everly Brothers hit, "Crying in the Rain" (written by Carole King). Anyway, it is pretty cool and I hope you like it as much as I do. Enjoy! Here it is, 2013! This marks year 7 of the World of Wonder. I never thought I would make it this far! (though it did look like I wasn't going to make it through year 6) I have a bunch of items to post this coming year so don't worry, the World of Wonder is alive and well. That being said, I do think this will be the final year of the blog as my time is just getting less and less free. However, I will take this year to bring you lots of fun stuff. Starting off with the latest Podcast. 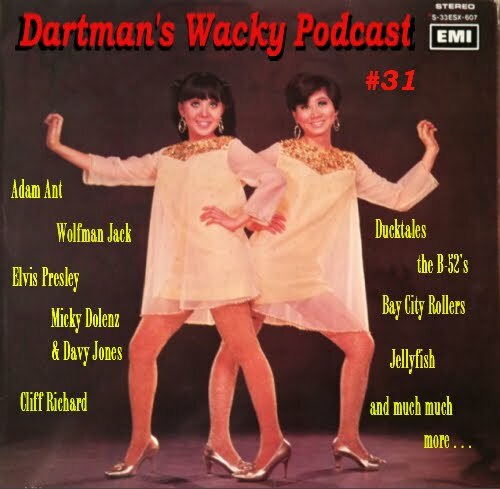 Here is podcast #31. To be honest, I have no idea what is in this one as I made it way back in October. It's been sitting around waiting to be posted and I just lost track of all time with being on the road and being a dad. So, here it is. Enjoy!